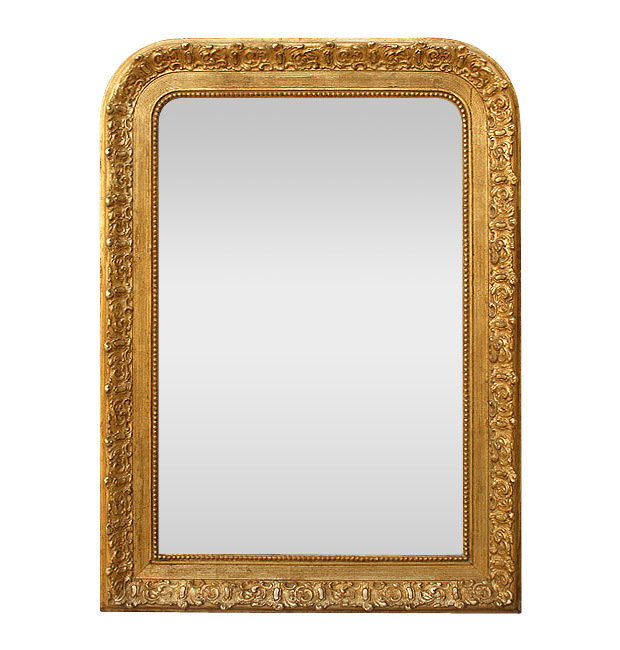 Antique Louis-Philippe mirror gilded with patinated leaf, stylized decorations and pearls. Antique wood back. Circa 1900. 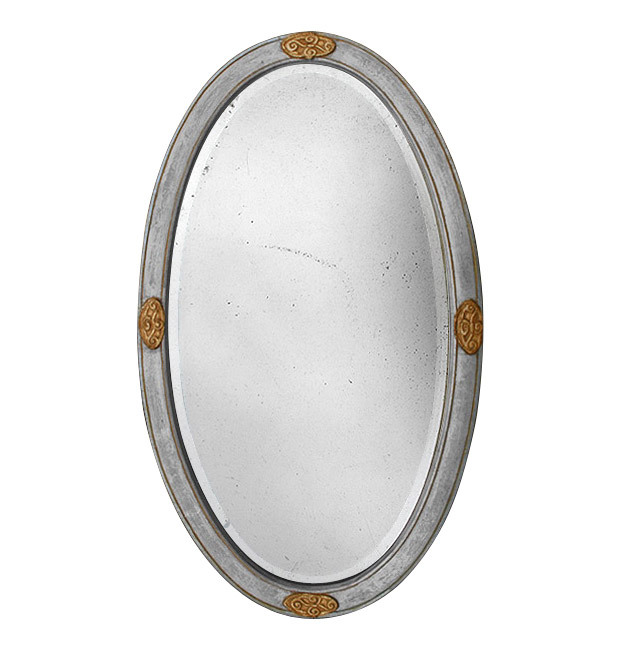 Antique oval mirror, circa 1900. Gilding with silver and gold leaf. 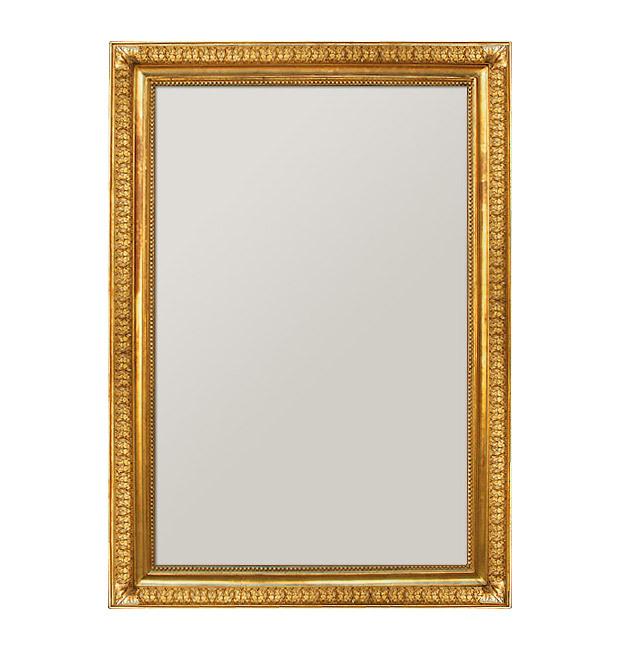 Beveled glass mirror origin.